1. Tomorrow I get to go see a band I've been dying to see for a long time! Zac Brown Band is playing at the new Circuit of the Americas here in Austin and I'm super stoked! I'm not really knowing what to wear though. Skirt and booties? Skinnies and boots? Maxi dress? I'll be sure to take pictures so stay tuned for my concert attire...I know you'll just be on pins and needles waiting. Riiiiiight. 2. Speaking of country music, does anyone watch Nashville? I kind of fell upon this show by accident, but I'm now hooked! It's so good!!! Each one of the characters draws you in to like them, even if they're rotten. My favorite is Decon....he's a rugged gem. The show also gives my major leg envy motivation. I mean. 3. Redbook Magazine's current issue has an article titled "Where Did My Little Girl Go?" This really spoke to me, as my relationship with my mother is so important to me and I hope to have just as close of relationships with my three daughters. I understand that there will be bumps along the way, but this article talks about a mom's 11 year old who completely goes full-out preteeny on her. I could feel the hurt that she must feel, and although I'm prepared for puberty-related personality swings (we still have a few years thank goodness), I would like to think that my girls would never treat me like that. However, I've said it often enough in the last seven years of mothering daughters....that "I would never have talked to my mom that way". Daughters are tough. 4. 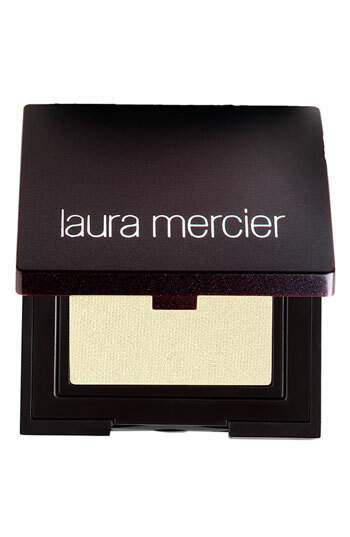 Did you know that yellow or gold eye shadow is super flattering on most women? It's also a big make-up trend this Spring and Summer! I kind of always shied away from yellow, assuming it didn't go with my skin tone, but I was sure wrong! I received this as a gift a while back and wear it every single day! 5. Did y'all hear about the Friends reunion season? I sure hope this isn't just a rumor. I've been waiting for a reunion since approximately 5 seconds after Monica and Chandler left the hospital with their twins! Have you seen this on Pinterest? It cracks me up that so many "Friendisms" are constant cultural references in our generation's life. PIVOT!!!! update: My husband just told me his heard this IS a rumor. Tear. Yellow eye shadow? Hmmm will have to try it out, lol. Oh I wish friends did a reunion! I love that show! Yep, definitely a cruel rumor.